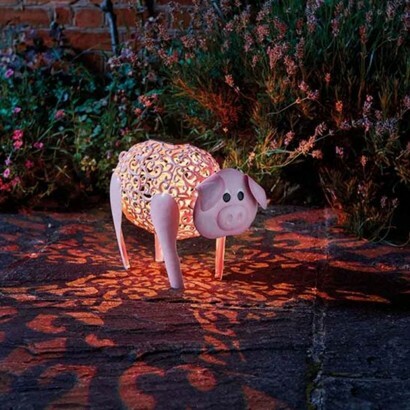 A playful piggy to add character to your garden, this pink metal garden light has a scrolling design that casts delicate shadows onto surrounding surfaces when lit from within. 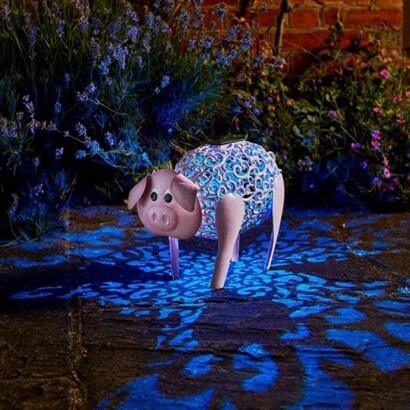 Choose from colour change or white light settings for soothing silhouettes that shine into your garden night after night. 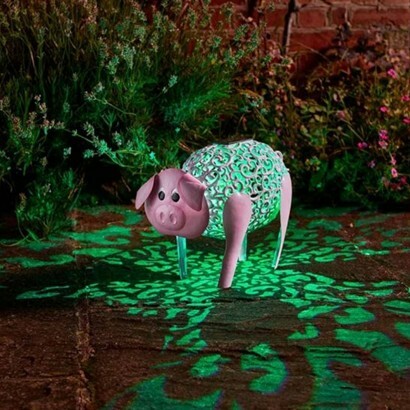 With a sprung head that nods gently on the breeze, this cute light is full of character detecting darkness before switching on automatically casting beautiful patterns of light into your garden.